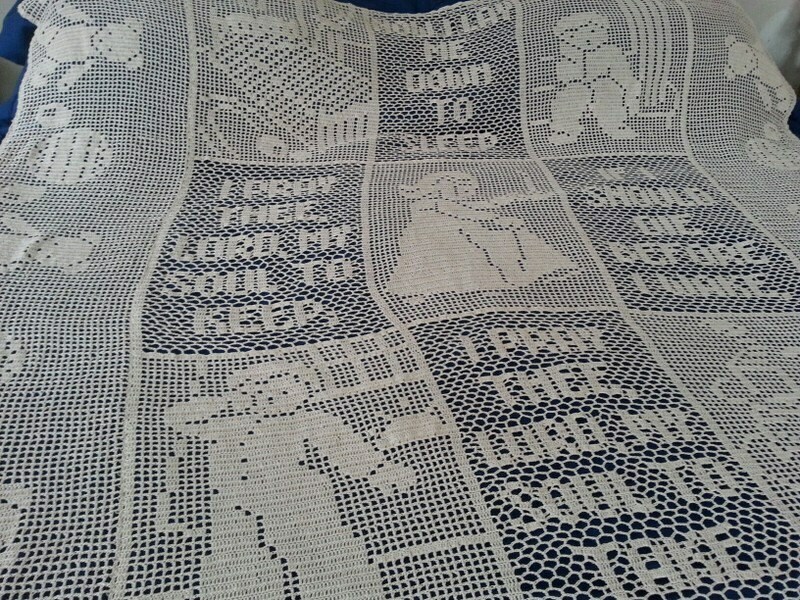 Can you imagine giving this filet crochet king size bedspread to expected parents for their little one's bedroom? It will surely become an heirloom you'll want to cherish for years to come. 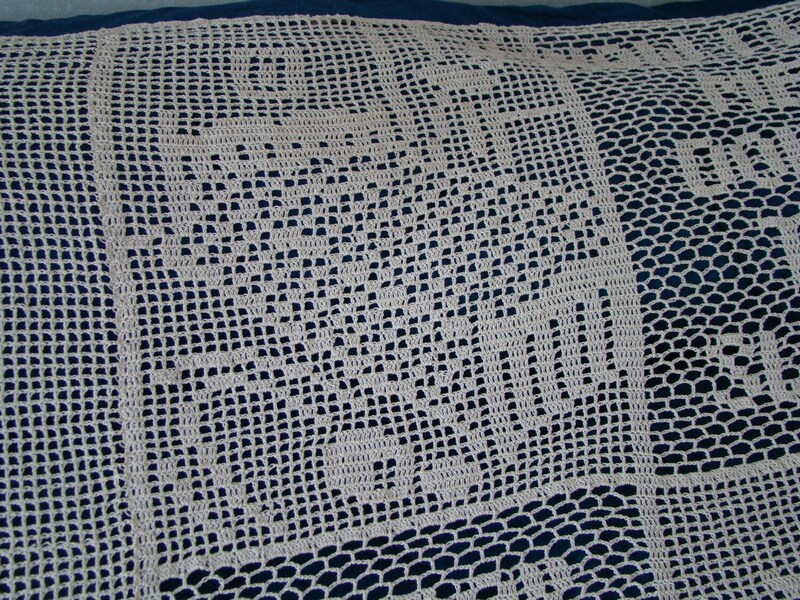 Crocheted in a versatile natural crochet cotton thread, it will easily compliment any bedroom decor. 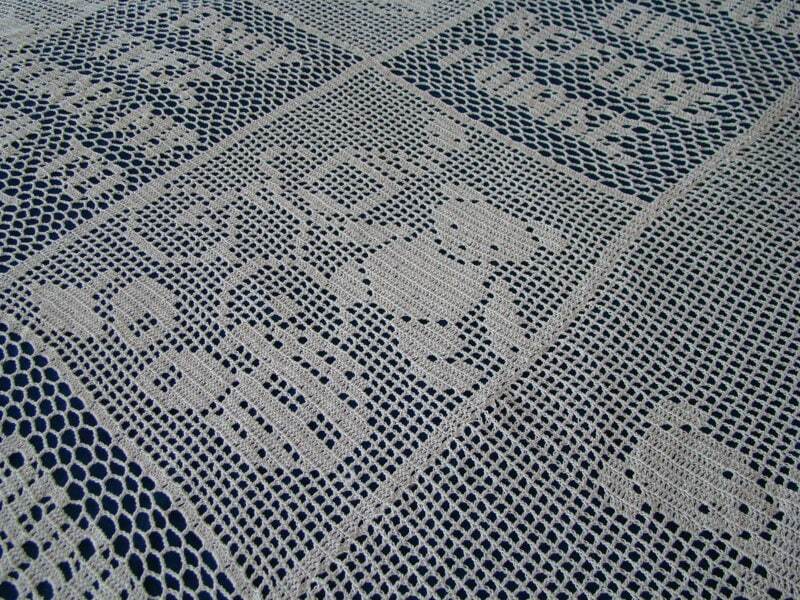 This can be washed (in cold water) on a gentle cycle, lie flat to dry. A simple iron press and it will look like new! 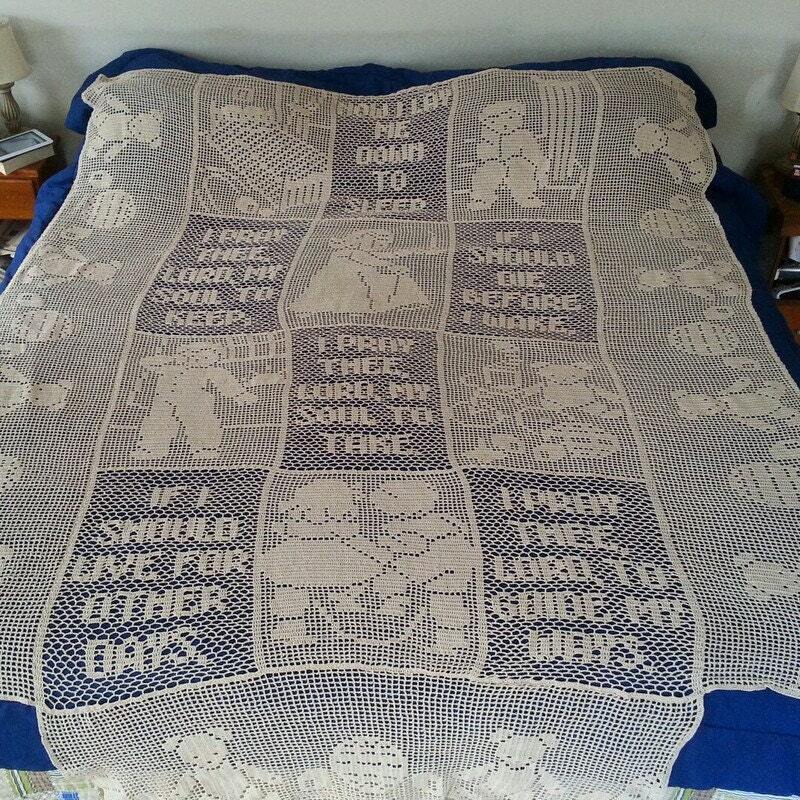 Hand crocheted in a filet design measures a large 96" x 100" adorn with Now I Lay Me Down to Sleep prayer in words and pictures. 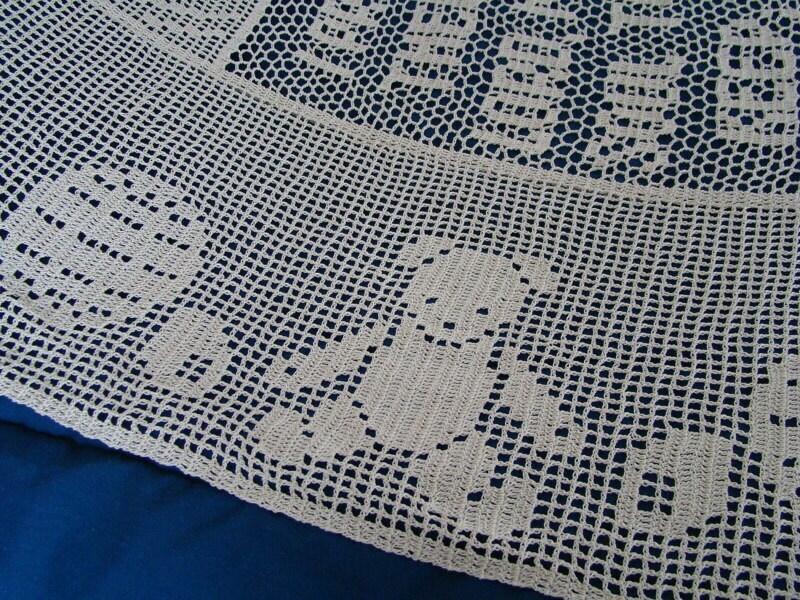 Lovely teddy bears, Jack and Jill jumping rope, nursery scenes, and much more!